Travis Country is conveniently located off of Southwest Parkway in Southwest Austin. It is located near major employers such as Samsung and AMD. The family friendly atmosphere of this commmunity is awesome, with residents enjoying two community pools, a sport court, tennis courts, a playground, and a jogging path. If you want a gated community and don't want the upkeep of a big yard, then the Parke at Travis Country Condos may be for you. You can even walk down to the Barton Creek Greenbelt. Residents are also close to shopping at places such as Barton Creek Mall, and the new "HIll Country Galleria" in Bee Cave. Work commutes to downtown Austin, Westlake Hills, Bee Cave, and Lakeway are about 15-20 minutes. 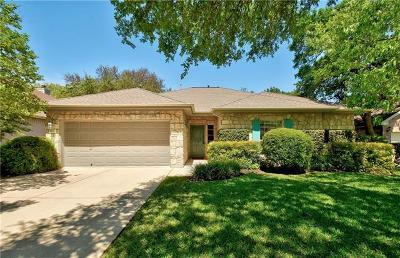 Homes for sale in Travis Country typically run from the low $300's- mid $500's.